TODDSVILLE - John Paul Shulkie, 70, of Toddsville, passed away unexpectedly Tuesday afternoon, October 25, 2016, at his home on Greenough Road. He was born August 22, 1946, in Queens, and spent his early years at New York Foundling Hospital. Through the kindness of Francis and Anna Kenney of Cooperstown, John came to live with and consider them his parents. After graduating from Cooperstown Central School with the Class of 1966, he entered into active duty with the United States Army and proudly served his country during the Vietnam War. Corporal Shulkie was recognized for heroism on February 28, 1968, in the Republic of Vietnam and was awarded the Soldiers Medal. On October 25, 1972, Sergeant Shulkie received his honorable discharge from the United States Army. On July 26 , 1970, John married the former Janet Evelyn Chmielewski in Manheim. For many years John was employed at Remington Arms in Ilion as a machine operator on gun receivers. When he retired in 2006 he was working as a machine setter. For over thirty years John was a dedicated member of Hartwick Fire Department Company No. 2in Hartwick Seminary. John is survived by his wife of 46 years, Janet of Toddsville and their two children, John P. Shulkie, Jr. of Toddsville and Janine Shulkie of Richfield Springs. He is further survived by his mother, Anna Kenney of Bowerstown, his mother-in-law, Evelyn Chmielewski of Toddsville; four sisters and brothers-in-law, Catherine "Rosie" and Phillip Moore of Cherry Valley, Barbara and Donald Ende of Cobleskill, Diane and Warren Bunn of Sherburne and Patricia and Dennis Cohen of Portlandville; two brothers, Joseph Kenney and wife "Cricket" of Cooperstown and Mike Kozak of Florida; Aunt Eleanor Hallock; brothers-in-law Walter Chmielewski and wife Tammy and William Chmielewski and wife, Pamela; and many cousins, nieces and nephews. 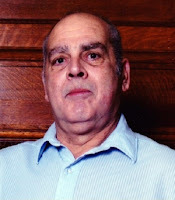 He was predeceased by his father, Francis E. Kenney (2002), his father-in-law, Walter Chmielewski (1994) and a brother, Francis R. "Richie" Kenney (2005). Friends may call at the Connell, Dow & Deysenroth Funeral Home in Cooperstown on Friday, October 28, 2016, from 4-6 p.m. when John's family will be in attendance. A Funeral Service will be offered at the funeral home at 10 a.m. on Saturday, October 29, 2016, with Rev. Jack Klosheim, Pastor of Community Bible Chapel in Toddsville, officiating. Burial with Military Honors to be accorded by members of the Cooperstown Veterans Club and the New York State Military Forces Honor Guard will be at 2 p.m. on Saturday in Salisbury Rural Cemetery, State Route 29, Salisbury. In lieu of flowers, memorial donations may be made to Community Bible Chapel, 577 Greenough Road, Cooperstown, NY 13326 or Hartwick Fire Company No. 2, 4877 State Highway 28, Cooperstown, NY 13326.